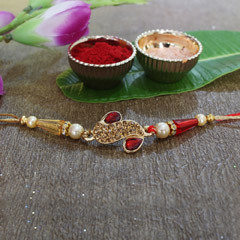 The choice of sisters who want to give their brother the best design in rakhis, Golden rakhis add a level of sophistication and royalty to this special celebration. 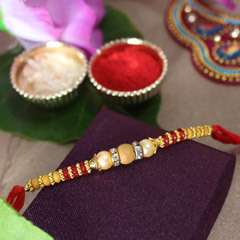 Let your brother know that he is precious to you by gifting him a Golden rakhi this Raksha Bandhan. 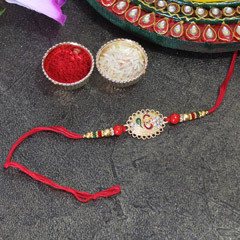 Your brother will be proud to have a sister like you and it will make him value you even more. 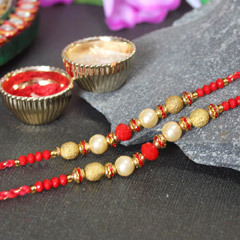 Golden rakhis are made of pure gold and they deserve to be given the respect they deserve. 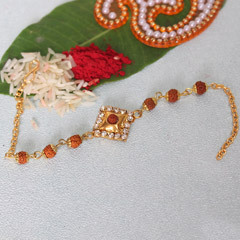 We at Sendrakhi.com don’t compromise on the quality of Gold rakhis we bring to you. 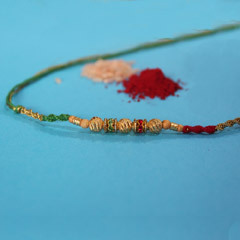 Be assured of our excellent collection as they are the best you could get. 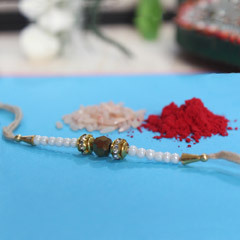 Gift your brother the gold rakhi he deserves and let him know that you believe that he has a heart of gold just like the band of rakhi. 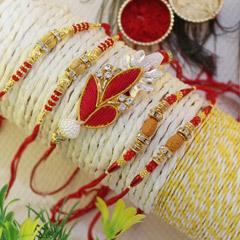 So what if you had not planned for the gold rakhi earlier? 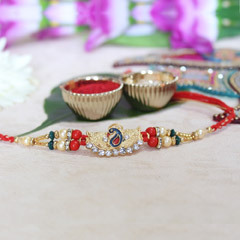 We will make sure that you get the Online rakhi to gift your brother at the budget you decide so that you don’t miss out on this special occasion and even your brother knows that you will not do that. 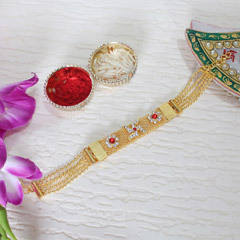 Surprise him with the out-of-the-world gifts packs along with the Golden rakhi. 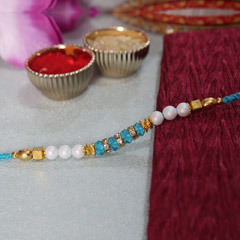 We will ship it for you for free and rest assured as we will do it on time.